HEALTH BEHAVIOR AS BASIC RESEARCH Health behavior is not a traditional discipline, but a newly emerging interdisciplinary field. It is still in the process of establishing its identity. Few institutional or organizational structures, i. e. , departments and programs, reflect it, and few books and journals are directed at it. The primary objective of this book is thus to identify and establish health behavior as an important area of basic research, worthy of being studied in its own right. As a basic research area, health behavior transcends commitment to a particular behavior, a specific illness or health problem, or a single set of determinants. One way of achieving this objective is to look at health behavior as an outcome of a range of personal and social determinants, rather than as a set of risk factors or as targets for intervention strategies directed at behavioral change. The book is thus organized pri- marily in terms of the size of the determinants of concern, rather than in terms of specific health behaviors, or specific health problems or conditions. 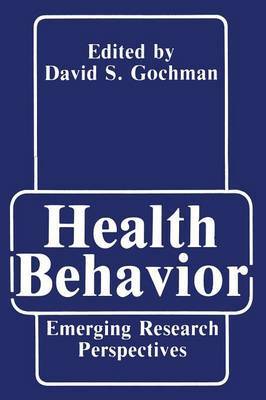 With the first part of the book establishing working defmitions of health behavior and health behavior research as basic frameworks, the second part moves from smaller to larger systems, informing the reader about basic research that demonstrates how health behavior is determined by personal, family, social, institutional, and cultural factors. These distinctions reflect some arbitrar- iness: the family, organizations, and institutions, for example, are social units.